Diversify your portfolio with foreign stock investments. 1. How do I Invest in New Zealand Stocks? Investors can diversify their portfolio by adding foreign investments to their holdings. 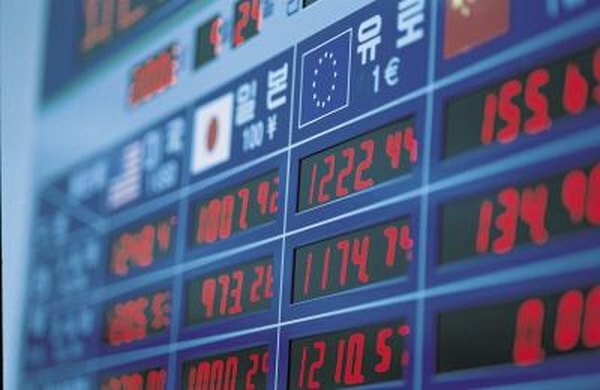 Purchasing foreign stocks directly from the home country’s exchange, investing in foreign stock mutual funds and buying foreign stocks listed on U.S. exchanges give investors exposure to foreign markets. Investors should analyze each investment and select the ones matching their portfolio goals and risk tolerance. Go online and find a stock brokerage firm the offers direct foreign stock exchange trading. Only a few firms offer this trading option, such as Charles Schwab or E*Trade, so be prepared to pay a higher-than-usual commission. Apply for an account online and fund it once the account is opened. With the exception of some Canadian stocks, you will still have to place the trade through your broker. Use the online research tools to find foreign stocks meeting your investment criteria. Keep a record of each foreign stock trade you give to your broker. Unlike a domestic stock purchase, it will take longer for your broker to receive confirmation from a foreign exchange that the trade went through. When you do get confirmation, compare it against your written order to be sure the trade was executed correctly. Reduce your risk by purchasing foreign stock mutual funds that are listed on domestic exchanges. Check to see what percentage of foreign stocks makes up the mutual fund’s portfolio. Foreign stock category mutual funds will have at least 80 percent of their holdings in foreign stocks, whereas a world stock or emerging-markets mutual fund might have 60 percent or less. Three foreign stock category mutual funds -- PIMCO International Stocks Plus, Lazard International Strategic Equity and Oakmark International -- invest in large-cap foreign stocks and have a year-to-date return of more than 20 percent each. Invest in foreign companies that are listed on U.S. exchanges through American Depository Receipts (ADRs), which represent shares of foreign stocks that are easily traded. They must meet the same stock disclosure regulations as U.S. stocks. Investors can trade a specific foreign stock’s ADR, such as China Mobile, Royal Dutch Shell and Daimler AG, with far less risk than directly trading the stock through a foreign exchange. Purchase foreign stocks listed over-the-counter (OTC) or on the Pink Sheets. Samsung Electronics and Vestas Wind System are two international corporations available on these exchanges. Trading can be illiquid on these markets, and the bid and ask spread vary widely, so use a limit order to enter the trade. Buying ADR shares and foreign stock mutual funds is a safer way to gain exposure to foreign markets. Foreign stock investments can be risky, so limit your portfolio exposure to 20 percent or less. Why Invest in Domestic Stocks?